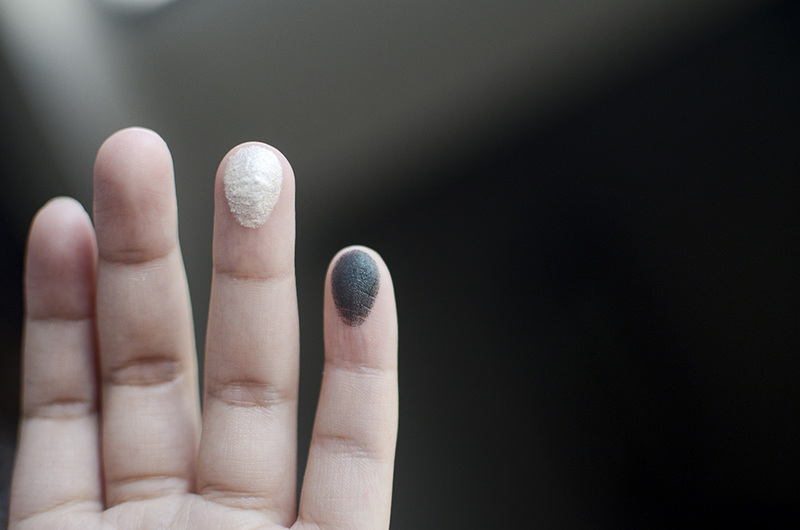 Le Métier de Beauté is a bout just as good as it gets when it comes to eyeshadow formulas. For the December box of their Beauty Vault VIP subscription, they sent out two exclusive VIP program eyeshadows in nameless shades described as “Deep Emerald Green” and “Shimmery Sand-White,” a festive selection for the holidays. I always appreciate it when I get eyeshadows from LMdB, simply because they make some of the best that I’ve tried. They are triple-milled, which is perfect for layering and blending together. 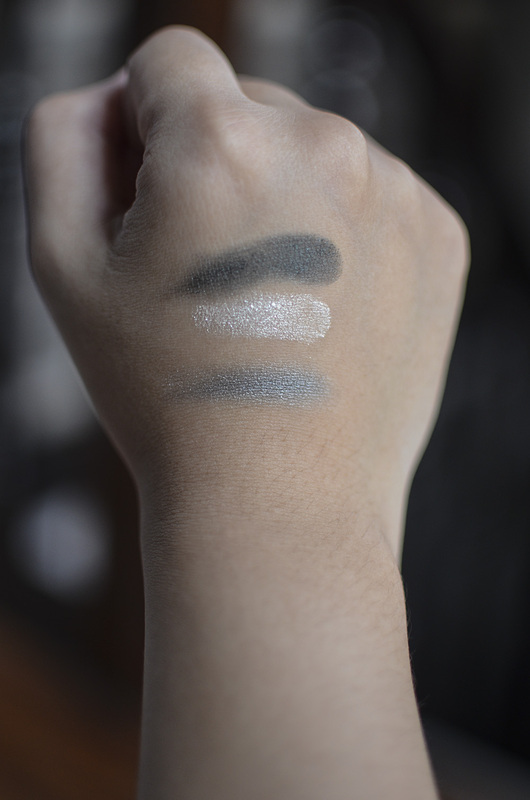 Some of the shades I own have questionable pigmentation (especially the dark mattes like Noir), but the formula is perfect for building up the color and blending with other shadows without looking muddy. The Shimmery Sand-White shade can go on a little bit thick/chunky, so a light hand is probably all you’d need with this. The Dark Emerald Green is so beautiful and iridescent. It reminds me of beetles, for some reason. So far, I’m still happy with the subscription, though I wonder if we’ll ever get to try their popular Creme Fresh Tints. I sure hope so! These look like real keepers! I picked up a few items in HK awhile back and love each very much, am very tempted to try to sign up for the subscription next time! I’m tempted to sign up again but I’m on a low-buy, it huuuuurts, precious! Previous PostVideo: Korea Haul, 2014!